Performa Visionaries presents “VOID”, a one-night-only performance on Monday 11th May 2015, joining dancers Sean Suozzi and Claire Kretzschmar from the New York City Ballet and an interactive sensory art installation by Jordan Backhus. The performance, curated by Roya Sachs and choreographed by Troy Schumacher, looked at the theme of courtship in early dance forms that will take the viewer on a journey from past to present, invoking the modernization of courtship, and the suspense that is driven through this evolution. 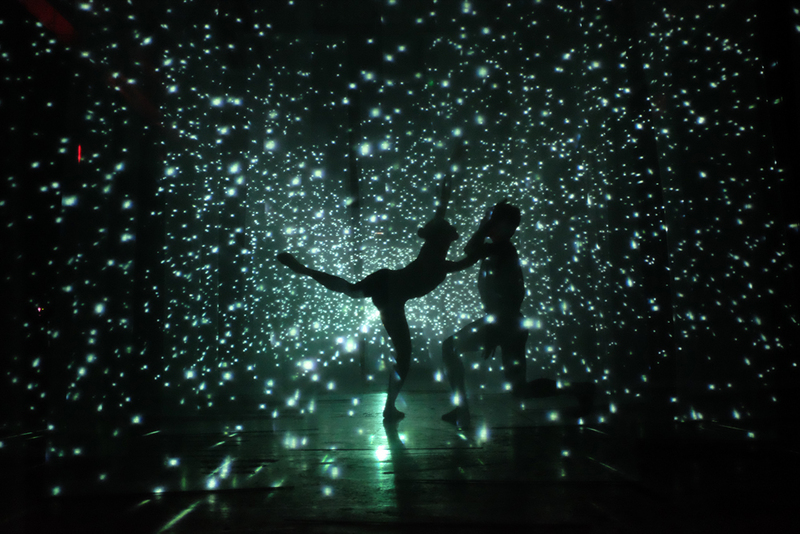 "VOID" is a multi-user, three-dimensional interactive art installation, that uses an arrangement of translucent screens, computer generated images, and ultrasonic proximity sensors to respond directly and visually to the proximities and movements of its users.